iKON is a South Korean boy group active under YG Entertainment. It was the third boy group to debut under YG Entertainment after the success of their predecessors, BIGBANG and WINNER. 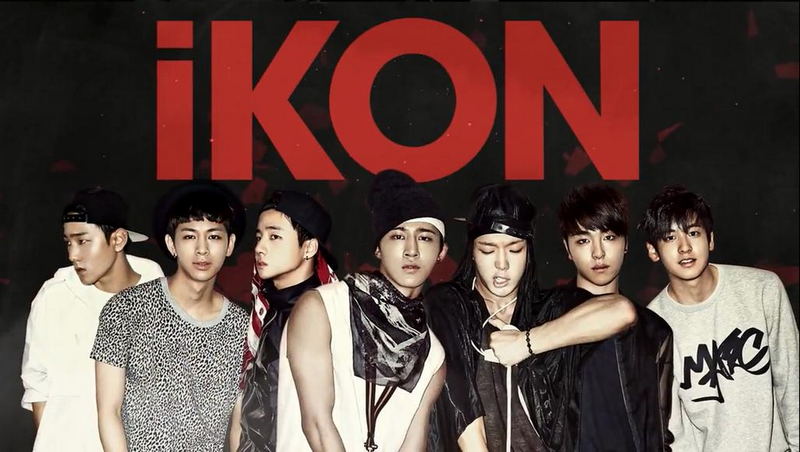 iKON debuted in 2015 with seven members: B.I, Bobby, Jinhwan, Ju-ne, Yunhyeong, Donghyuk, and Chanwoo. iKON almost launched their career in 2013 through the reality survival program WIN: Who is Next. Unfortunately, they lost, and were unable to debut at that time. After the program ended, it took two more years of waiting before iKON could finally hit the stage. 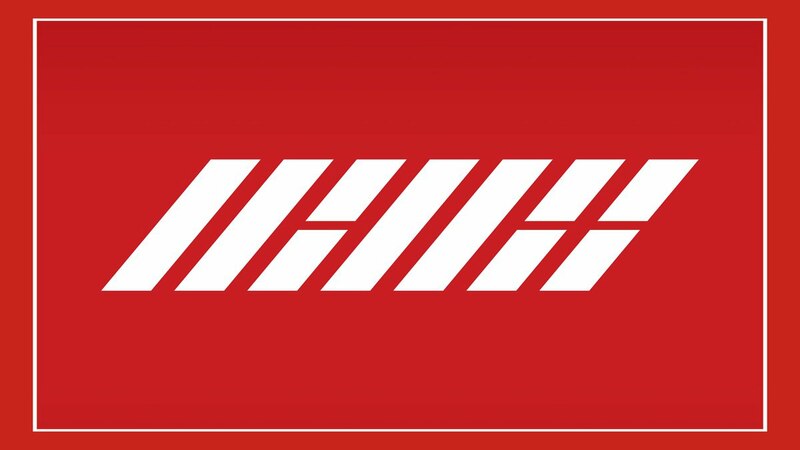 Let’s get to know more about iKON’s debut! In 2013, Yang Hyun Suk, CEO of YG Entertainment, announced that YG would be debuting a new boy group. This news drew a lot attention from the public, since YG hadn’t debuted a boy group in eight years, after BIGBANG was released. Then, Yang Hyun Suk dropped more shocking news that the debuting group would be determined by a reality survival program. This was surprising, because until then, all decision making in YG was in Yang Hyun Suk’s hands, and then he suddenly decided to let the audience decide which group would debut next. YG’s reality survival program was called WIN: Who is Next and aired on Mnet and TvN. In this program, Yang Hyun Suk divided YG’s trainees into two groups: Team A (with five members) and Team B (with six members). Those 11 trainees had been training at YG for a long time, and so they were given this opportunity to finally begin their careers. The program would later become a battlefield with both teams fighting to survive. The final winning team would then debut immediately under the name WINNER. 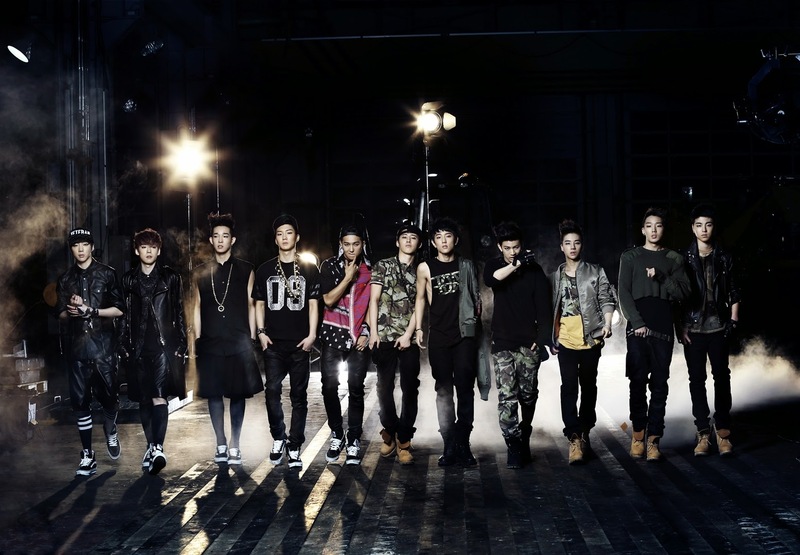 Back then, iKON members participated as Team B with three members, including B.I., Koo Jun-hoe, Kim Jin-hwan, Bobby, Song Yun-hyeong, and Kim Dong-hyuk. Unfortunately they lost in the final battle to Team A, who now currently make music under the name WINNER. In September of 2014, YG representatives announced that they would make another survival program to debut another boy group, and that three members of Team B would participate. Meanwhile, the other three (B.I., Bobby and Jinhwan) were confirmed to join the final line up. It was also stated that there would be new trainees joining: Chanwoo, Yang Hong Seok, and Jung Jin Hyeong. This survival program was called Mix&Match and had a total of six contestants. The program ended in 2015 with the final line up of seven members: B.I, Bobby, Jinhwan, Ju-ne, Yunhyeong, Donghyuk, and Chanwoo. YG Entertainment then confirmed that this final line up would debut that the same year under the name iKON. As for the other two eliminated contestants, they left YG Entertainment after the program ended. It was later found that Yang Hong-seok and Jung Jin-hyeong debuted under Cube Entertainment with the name PENTAGON. Following the success of the program, iKon members held fan meetings in Korea, Japan, and China. In September, approximately 40,000 Japanese fans applied for 2,000 tickets to attend a fan meeting at Osaka Tojima River Forum, while more than 50,000 Chinese fans applied for their fan meeting in Beijing. And iKon hadn’t even debuted yet. On December 15, 2014, iKon performed as the opening act at Bigbang’s Japan Dome Tour 2014-2015 X. On January 28, 2015, Billboard listed the group as one of the “Top 5 K-Pop Artists to Watch in 2015”. They were the only group on the list that had yet to debut. After being postponed several times, YG Entertainment finally announced iKON’s debut in September of 2015. iKON planned to debut after BIGBANG’s comeback. 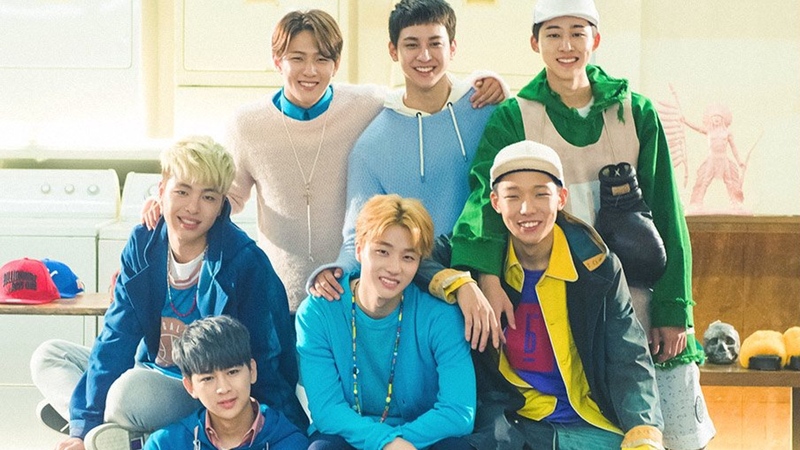 Their fans greatly anticipated this debut after Yang Hyun Suk revealed that he and iKON member B.I. had already written several singles to be released for iKON’s debut. iKON’ debut album, called Welcome Back, contained twelve tracks, with the sixth song as the title track. The album would be divided into two parts: The first half of the album, Debut Half Album, was set to be released on October 1, while the second half released on November 2 and was called Debut Full Album. 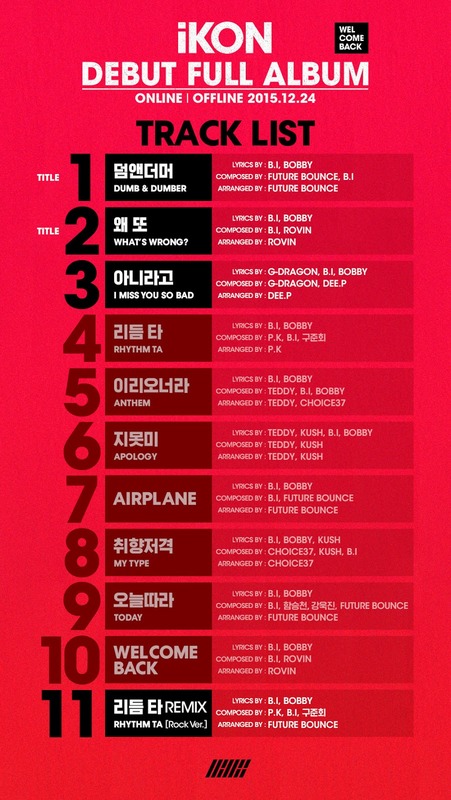 The track listing for the first half-album was released on September 24.
iKON’s leader, B.I., contributed a lot to the making of this album. He was credited as the producer and co-composer for all of the album’s tracks. B.I and Bobby also contributed to writing the lyrics for all tracks. Ju-ne, iKON’s vocalist, participated in the composition of the title track Rhythm Ta. YG Entertainment then announced that the full album’s release would be delayed until December 14, with two additional digital singles to be released on November 16. Both albums have similar designs with red, black, and white as the main colors. iKON’s Debut Half Album contained a photo-book, disc board, CD, and a WELCOME PACK (sticker set and random photo set). 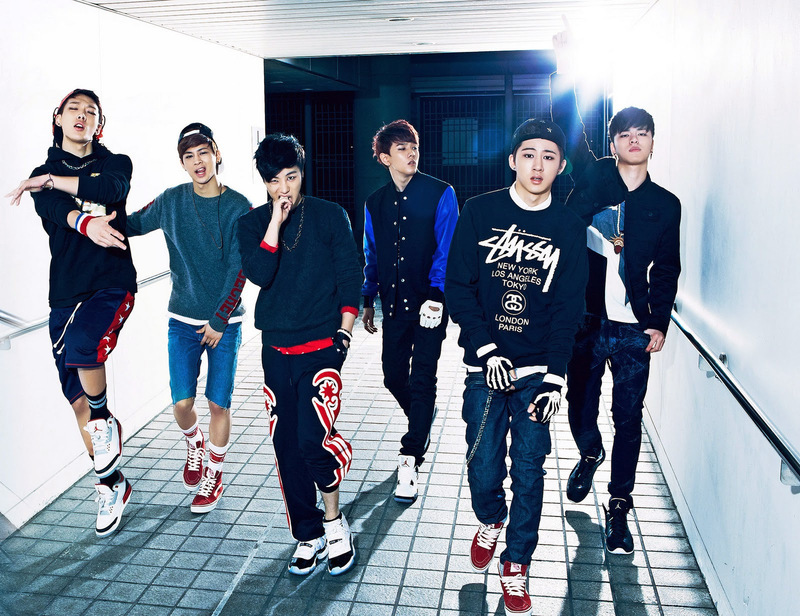 The theme of this album was a Hip-hop street style, which represented iKON’s image. For the following album, Debut Full Album, they used the same base colors. In addition, however, the albums also came in other versions: the RED version and the GREEN version. The design of this album was more minimalist, and contained more souvenirs inside. The album consisted of a postcard set, photo-book, disc board, CD and WELCOME PACK (random Polaroid set, random sticker, and random photo card). iKon debuted with the ‘pre-single’ My Type, which was released with a music video on September 15, 2015. This song gained major success after the music video for My Type surpassed 1.7 million views on YouTube within just 24 hours of its release. The song also showed its popularity with all-kill in South Korean online music charts, such as MelOn, Mnet, Olleh, Bugs, Genie, Naver Music, dan Monkey3. My Type took the first music show win with on September 26, 2015 on MBC’s Music Core, even though they had yet to make their first official live appearance. On September 24, “My Type” achieved a ‘triple crown’ on the Gaon chart, having taken the number one spot on the digital, download, and streaming charts simultaneously for the 39th week of 2015. On September 18, the single became number one on the music video charts of Chinese music streaming sites QQ Music and Youku. iKon also trended on Weibo, where they were reportedly searched 1.3 billion times. Two digital singles, Apology and Anthem from Debut Full Album, also gained popularity by staying in the first and second place in the chart. Apology was also one of the most downloaded songs in South Korea the following year. Almost all of iKON’s songs are Hip-hop, since BIGBANG’s GD and Teddy were in charge of making the album. As a result, many people compared iKON with their same-company senior, BIGBANG. 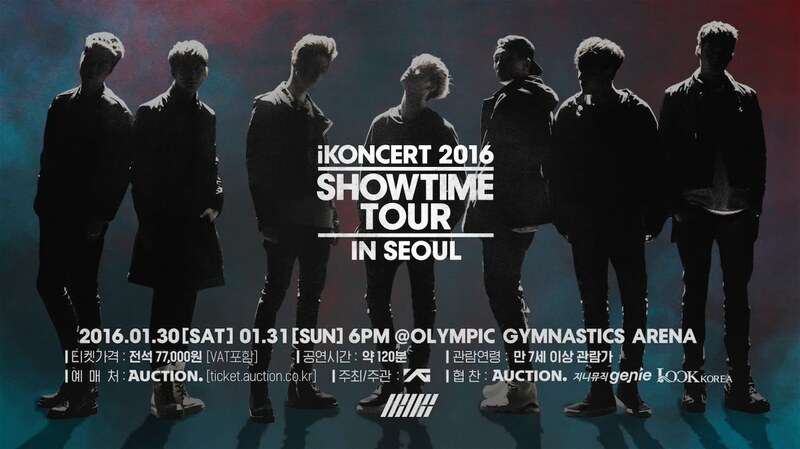 iKON held their first concert, SHOWTIME, on October 3 at the Seoul Olympic Gymnastics Stadium at 7 pm KST. The show sold out with 13,000 tickets. iKON’s fans showed their enthusiasm for this concert by selling out the tickets in just 10 minutes. The tickets’ prices started from 77,000 KRW. The concert took place at the largest concert hall in Korea, which was unprecedented for a new K-pop group. SHOWTIME was broadcast live through Naver’s V App and streamed by over 500,000 viewers. iKON’s first music show appearance was a day after their concert debut. On October 4, the group made their music show debut on SBS’s Inkigayo with Rhythm Ta and Airplane, receiving their third music show win for My Type in person. Before their Inkigayo stage, iKON made the headlines after gaining two wins for their warm-up single My Type without any music show promotions. One of the two trophies for My Type was won in Inkigayo. It makes iKON’s upcoming debut stage on Inkigayo even more meaningful.